Please bookmark http://www.EastSussexAS.org.uk as the new website name for the East Sussex Astronomical Society. 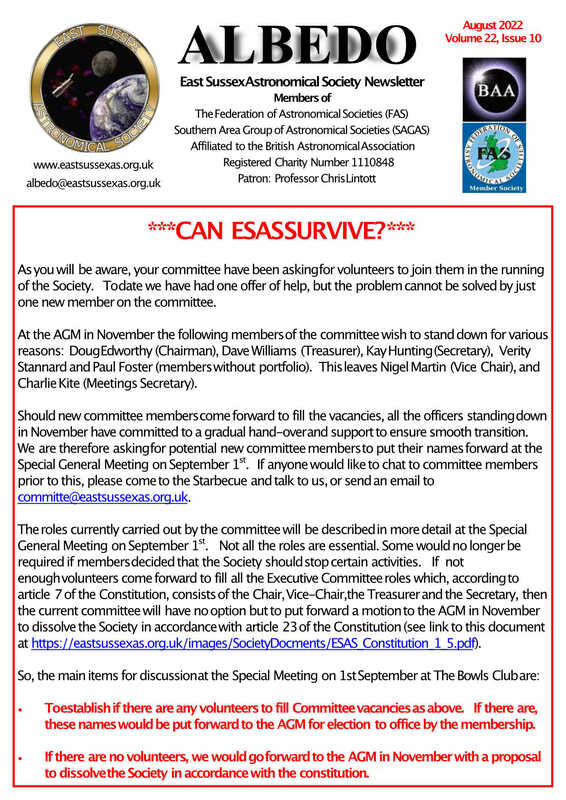 We are phasing out the esas.org.uk website name and all new communications will come from eastsussexas.org.uk. Click here to go to the http://EastSussexAS.org.uk home page.